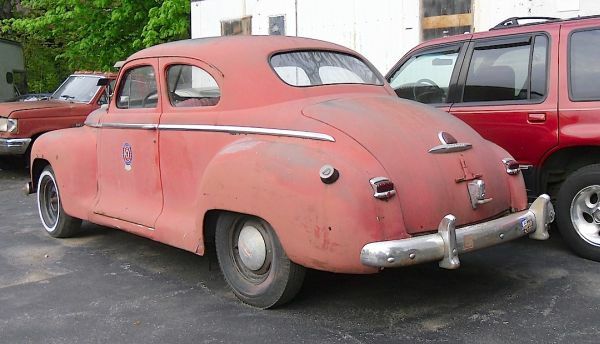 This 1948 Plymouth Club Coupe has either been sprayed with a coat of primer, or it’s the most faded paint job in WNY. Plymouth’s salesman’s bulletin noted that, compared to the Ford and Chevy, it was “A triple-threat contender!” leading the competition in roominess, eye-appeal, and conveniences. I imagine the “eye-appeal” showed up better before the paint failed. This one’s been parked forever in Tonawanda. Yes, literally forever! Jim Corbran, RRofWNY …and check out our Facebook page: Non-American Classic Cars The post RealRides Of WNY appeared first on Buffalo Cars.